William Optics' SCT adapter will let you convert compatible push-in (refractor) type diagonals into a standard SCT diagonal without committing extra funds to a brand-new diagonal. With compatible diagonals, you simply unscrew the 2" nosepiece from the diagonal body, and screw this adapter on instead. 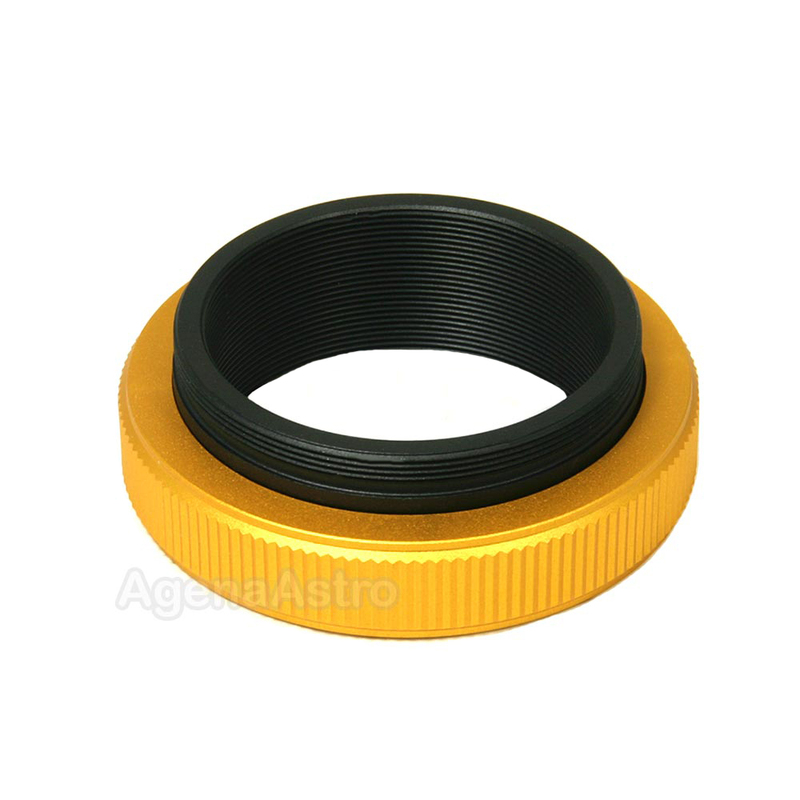 This adapter has a standard SCT female thread (2", 24 TPI) on one side to connect to the male SCT thread on the rear of your telescope. The other side has a standard 48mm (M48 x 0.75) male thread, which is the same thread used on most 2" filters, eyepiece/diagonal barrels, etc. This item consists of two coupled adapters that permit you to rotate your SCT diagonal to the desired orientation on your telescope. 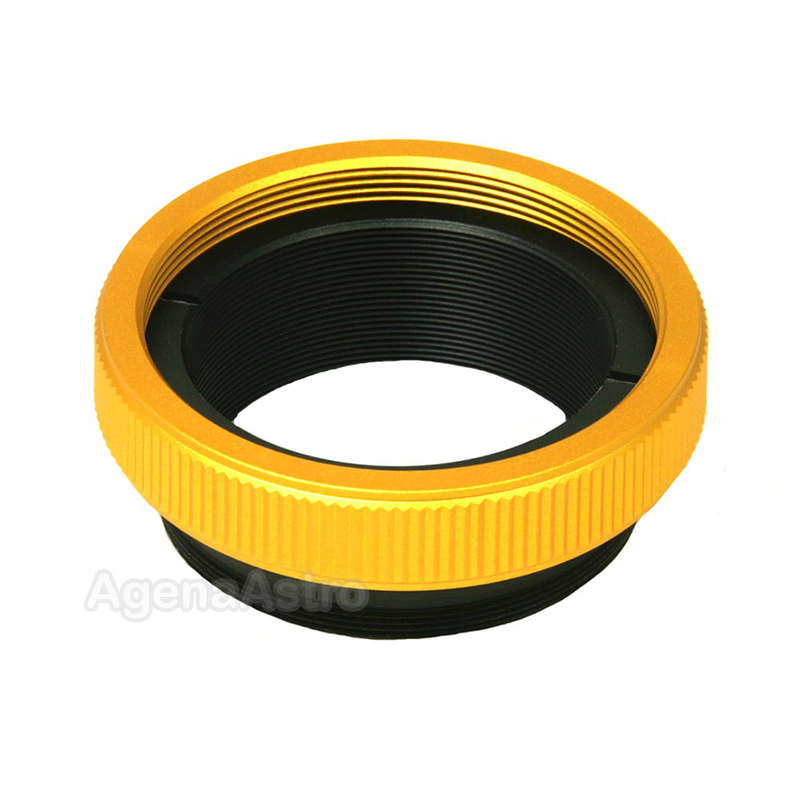 If you have an older William Optics diagonal (including the standard dielectric, carbon fiber, quartz, or erecting prism versions), this adapter may not - in fact, will probably not - work as William Optics has modified their threads over the years. There is no standardization in the astronomy industry for the threads used on diagonal bodies. Hence, do not assume that this adapter will work with your diagonal. Please check the thread on your diagonal body before ordering this item - we do not have compatibility information for all the diagonals out there. An easy way to do this is to unscrew your 2" diagonal nosepiece and try threading on a standard 2" filter. If the filter threads on, so will this adapter. If your diagonal is incompatible with this adapter, one option (pointed out by one of the reviewers of this product) you can consider is to screw the adapter on to the 2" barrel on the diagonal, and not on the diagonal body itself. Total length = 27mm / 1.06"
Length of male M48 thread (including shoulder) = 4.8mm / 0.19"
Clear aperture (inside diameter) = 41mm / 1.61"
Maximum outside diameter = 60mm / 2.36"